"There are bands, like SILENCE THE FEEDBACK, whose style and concept for sound make up for quite a bit of ground within the listening experience for an EP." "The band alternates from melodic flourishes of guitar work and sing-a-long vocals to harsher and occasionally Southern toned presences and some almost Punk like moments. This combination could prove to be lethal in the right doses." "It’s a solid one too as the combination of Hard Rock flow and Alternative mixes could be a one-two knock out punch." "Seldom are the days when musicians go back to the roots of what music was before: raw, no auto-tune and streaming with passion. Or maybe it’s just that people nowadays aren’t exposed to good music. Nevertheless, Silence The Feedback are what you may consider 90's Grunge Rock fused with contemporary artists such as Muse and The Number Twelve Looks Like You. The Rockland County, NY band has set a tone much higher in their writing styles than most artists today. Recently they released the EP No Flow which features six hard hitting songs. The EP is nothing short of great, these guys worked hard and it definitely shows." "[Silence The Feedback's] EP ‘No Flow’ was a great listen for us here at Zombie Juice Press. If you like metal and Hard Rock the intricate and rhythmic guitar riffs and beats will have fans of this sound excited and proud that a band is bringing the classic sound back! 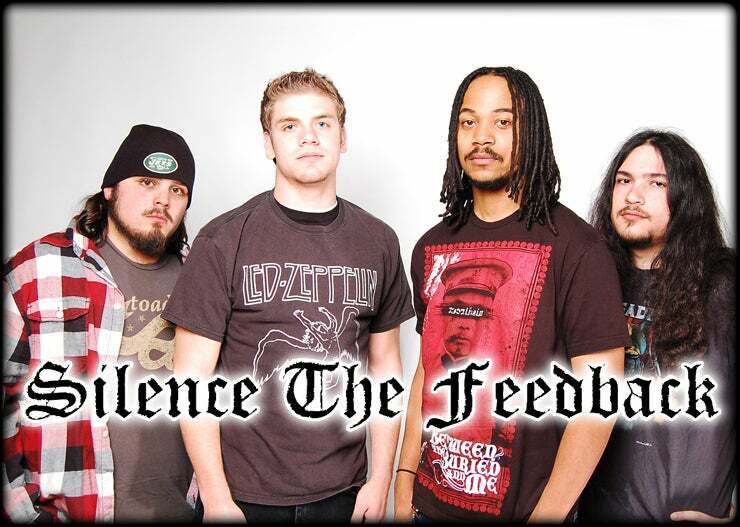 Silence The Feedback would make their influences such as Rage Against The Machine, Pantera, Muse, and Metallica proud of their new EP. Our favorite tracks being I Bleed, Hole, and Structures, that are just addicting and have us hitting repeat over and over again. We are glad someone is bringing back the hard rock sound. We couldn’t be prouder of our friends in Silence The Feedback and wish them the best. Do yourself and them a favor and go check out their new EP ‘No Flow’ is you’re really into the true hard rock sound."